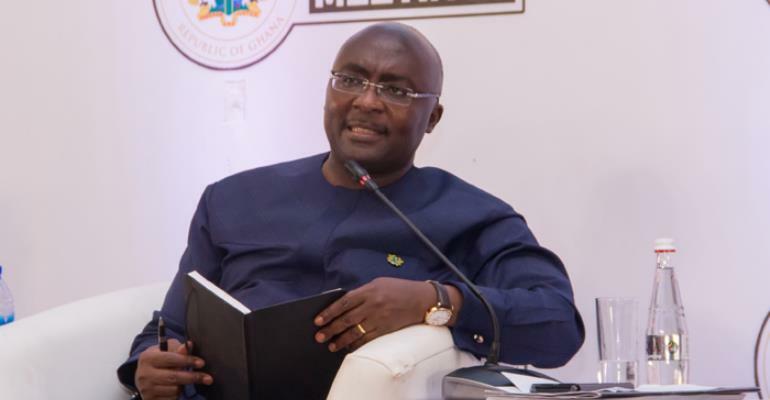 That Vice President Dr. Mahamudu Bawumia is a thorn in the flesh of the wailing opposition National Democratic Congress (NDC) is a suggestion which continues to gain currency among many Ghanaians. Abdul-Malik Kwaku Baako, Editor-in-Chief of the 'Crusading Guide' newspaper, is the latest to make the suggestion and forcefully so during a television programme 'Good Morning Ghana' yesterday. The veteran journalist's assessment comes in the wake of the recent Town Hall engagement of the Economic Management Team (EMT), with the Vice President leading the charge, as well as the NDC's supposed counter engagement. Kwaku Baako Jnr said the Vice President's 'brilliant performance' usually puts the opposition party on edge. In their reaction to such performance, they seek avenues to scuttle their protagonist's arguments, which according to him, are presented with so much simplicity to the understanding of non-economists. An NDC organised engagement, which was intended to call the bluff of Dr. Bawumia, unfortunately failed to register the impact the latter did during their so-called town hall meeting. “Ladies and gentlemen, you will recall that I stated in 2014 that 'if the fundamentals are weak, the exchange rate will expose you'. That was true then and it's true now. It is 100 per cent correct. A pro-opposition NDC academic associated with the EMT of the previous administration joined his party in a futile effort to rubbish Dr. Bawumia's excellent performance at the Town Hall meeting. Dr. Nii Moi Thompson did not take on the points adduced by the Vice President but said 'Dr. Bawumia's graphs are basaa' to wit, haphazard or even confusing. Dr Thompson failed to adduce strong arguments to convincingly debunk Dr. Bawumia's points. He remains part of the NDC's efforts to berate a man they dread so much that they would do everything to criticize not only his presentations but also his person.